We are excited to offer a Strauch Finest drum carder for your use in this group studio. Participants must attend the 10:30 demonstration to review its use and care, and must sign the use agreement. Attendees select their one-hour time slot that morning. Bring your own fiber, purchase fiber from us, or combine the two into an an endless array of blends! 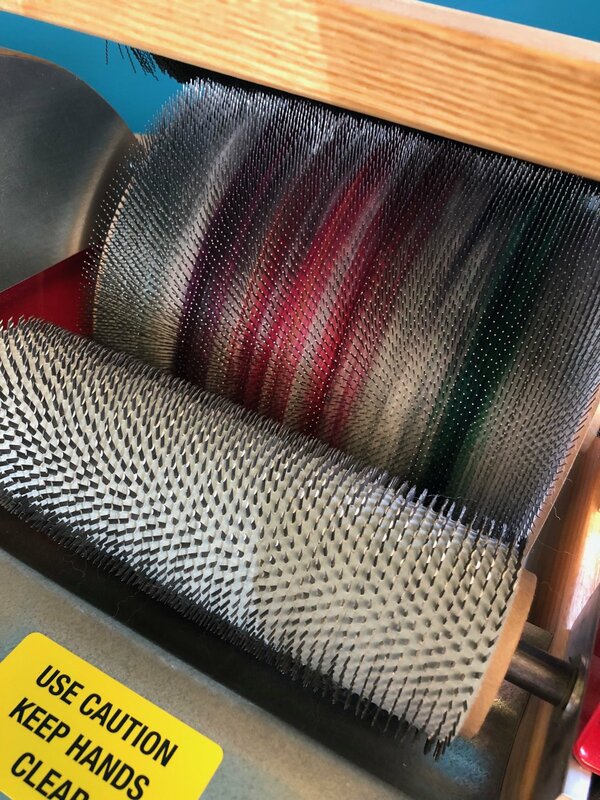 Note: only dirt and grease-free fibers may be used on drum carders. We will be available to assist during group studio. Requirements: Participants MUST attend the Drum Carder demonstration at 10:30am, and sign the drum carder agreement.